But why are world leaders so reluctant to use the word ‘genocide’ for the persecution and killing of the Rohingya? Ashley Starr Kinseth is an international human rights and humanitarian lawyer. On the night of August 25, an attack on Myanmar security forces by a handful of Rohingya militants in Northern Rakhine State prompted a brutal government counter-offensive that has, in turn, led to the greatest refugee crisis of the twenty-first century. Since then, more than 500,000 Rohingya have fled to neighbouring Bangladesh, with some estimating that as many as 15,000 continue to make the dangerous journey each day. In fact, in terms of rate of escalation, this is the greatest mass exodus – and has the makings to become the most significant humanitarian catastrophe – since the 1994 Rwandan genocide, when over 800,000 Hutus and moderate Tutsis were slaughtered over a mere 100-day period. To much of the international community, Myanmar’s Rohingya crisis appears sudden, with few to no warning signs; indeed, it is only in recent weeks that the word “Rohingya” has begun to crop up in international headlines and to seep into the world’s collective consciousness and conscience. Yet as a human rights lawyer who has long followed the Rohingya situation – and was present in Northern Rakhine the morning the violence erupted – I can say there is no question that the crisis unfolding now has been in the making for years, if not decades. Perhaps more importantly, by international legal and historical standards, the crisis bears all the characteristics of a genocide in bloom. In fact, for those who have followed the situation closely, the use of the word “genocide” should come as no surprise. For generations, the Rohingya have faced an ever-growing list of discriminatory policies and state-sanctioned rights violations designed to cull the unwanted minority’s numbers and force them from their ancestral lands: key markers of genocide. The oldest among them have seen their citizenship revoked and their children born stateless; they suffer tight restrictions on movement and access to education and healthcare; and the number of children a couple may bear has been legally limited to two. The Rohingya also regularly endure extortions for minor “offenses”; they have been barred from gathering in groups of more than five and require permission to hold routine events (like marriages); and have even faced limitations on the materials used to build or repair homes and other buildings (brick and concrete being considered too “permanent” for the unwanted minority). 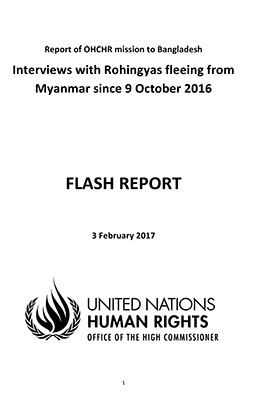 Direct reports from at least one prison also indicate that some prisoners from other parts of the country had been released early on condition that they resettle in Northern Rakhine in order to maximise the Buddhist population and limit Rohingya landholdings. The Rohingya have also endured periodic crackdowns designed to drive them from their land, dating at least as far back asOperation King Dragon in 1978, with more recent pogroms in 1991 and 2012. Since 2012, smaller spates of violence have erupted, each time accompanied by reports of government and mob-led village raids and burnings, rapes and murders (sometimes two-sided), and ever-increasing restrictions on Rohingya movement and activity. Yet the present crisis undoubtedly represents the most extreme and disproportionate onslaught of violence, with widely corroborated horror tales from Rohingya refugees of savagely violent gang rapes, merciless tortures and beheadings, and even babies tossed into fires. If not adequately frightening on their own, these facts must be placed in a disconcertingly modern context: for there has never been a more powerful tool for the rapid dissemination of hate speech and racist-nationalist vitriol than Facebook and other social media. From a Western perspective, the dangers are easy to spot; one need only look to social media’s role in recent elections and political debates to witness the rate at which false information can spread, and the surprising number of individuals who can fall prey to hateful and dangerous rhetoric, a phenomenon presently blazing across Myanmar society. Yet perhaps most disturbingly, historically, one can hardly fail to see the parallels between the current use of social media in Myanmar and that of radio in Rwanda to incite mob violence. The key exception is that social media is by all accounts an even faster, more graphic, immersive, “democratic”, and ultimately, dangerous tool for the dissemination of hate speech: perhaps the most significant precursor to genocide. Still, despite these new realities, the conflict we see now may once have been preventable, if not for the dancing around international law and realpolitiking at which the world’s governments have played ever since the term “genocide” first entered the international legal lexicon in the aftermath of the Holocaust. In the wake of World War II, the international community of states came together in an unprecedented manner, forming the United Nations, and – as one of its first orders of business – passing the Genocide Convention in 1948, which forbade a series of acts committed with the “intent to destroy, in whole or in part, a national, ethnical, racial, or religious group”. The Convention placed heavy weight on the use of the term “genocide” by governments – essentially requiring that, once a party to the Convention recognised that a genocide was occurring in another state, it bore a responsibility to act to stop the atrocities. Unfortunately, the planet’s collective memory and joint resolve proved short-lived, as international governments – and particularly the United States – have spent decades performing mind-bending linguistic backflips to avoid public use of the term. Instead, we see politicians using turns of phrase such as “genocidal acts may have been committed” to circumvent outright use of the word itself – and in turn, to avoid violating what is perhaps international law’s most sacred treaty. Unfortunately, the very structure of the UN makes coordinated intervention (like deployment of a peacekeeping mission) highly unlikely, as this would surely be met by a Security Council veto by China. Indeed, such intra-UN constraints help to explain why – though many in the Office of the Special Adviser on the Prevention of Genocide have long been aware of the Rohingya crisis – the Special Adviser has spoken rarely and hesitantly on the situation. 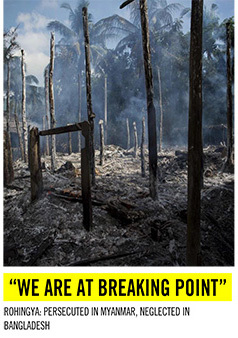 But if not genocide, what might we call the horrific situation unfolding in Northern Rakhine? 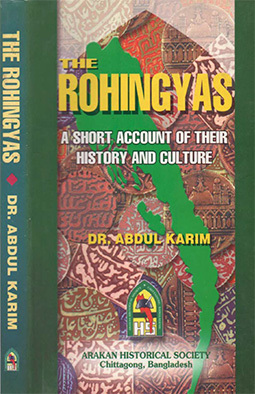 No doubt the “Rohingya issue” is viewed much differently throughout Myanmar, where most believe the Rohingya to be illegal Bengali migrants of questionable (or at least exceedingly “different”) moral character; reproducing at a high and disproportionate rate (factually disproven); and hell-bent on Islamicising the predominantly Buddhist nation. Indeed, I have met many educated Myanmar citizens – from aid workers to fellow human rights lawyers – who carry these views, and who are quick to except the Rohingya from rights that they would otherwise view as inherent to all human beings. It is this pervasive dehumanisation of the Rohingya – backed by military and religious forces that rely on the existence of a despised “other” to maintain some semblance of power amidst Myanmar’s precarious democratisation – that have allowed for the Rohingya’s continuing persecution. Admittedly, the atrocities we witness today in Northern Rakhine are not entirely one-sided. Surely, many Rakhine Buddhists also suffer the effects of conflict, and international media should also report on this suffering. Yet having visited many Rohingya and Rakhine villages, and remaining in touch with many Rohingya and Rakhine contacts, I also could not in good conscience equate the two groups’ experiences or poverty levels, as many in Myanmar print and social media circles routinely demand of international observers. Rakhine Buddhists are surely poorer than most ethnic groups in Myanmar (excepting, perhaps, only the Rohingya), and many do currently suffer alongside the Rohingya in terms of physical and food security. However, it would be false to suggest that as many Rakhine Buddhist villages have been looted and razed, or as many Rakhine Buddhist individuals raped, tortured, slaughtered, or otherwise victimised, as have the Rohingya. And while I know of some Rakhine Buddhists who have also become internally displaced – no doubt under deeply abhorrent circumstances – the fact is they possess the freedom of movement to do so and a greater chance of attaining aid and even alternative livelihoods elsewhere in Myanmar. ng frequently demanded by Myanmar’s citizenry. Instead, as it stands, we outside observers must rely either on our own direct experience to date – as I have here – or on reports flooding across the border from, one must imagine, the most vulnerable Rohingya. In the meantime, it appears that the international community of states, favouring inaction, has tiptoed around such deeply disturbing refugee accounts for far too long. And from the perspective of an international lawyer, based on the information that is presently available to outsiders, there can only be one word for the Rohingya experience in Myanmar: and that word is genocide. Ashley Starr Kinseth is an international human rights and humanitarian lawyer who has studied and worked on Rohingya rights-related issues for nearly five years. She has worked with numerous international organizations, including the UN Office on the Prevention of Genocide, The Carter Center, and CARE International, among others. She is a graduate of Columbia Law School (JD), the Middlebury Institute for International Studies (MA), and New York University (BA), and is the former Editor-in-Chief of the Columbia Human Rights Law Journal. She has previously published and spoken on Cambodian post-genocide reconstruction and peacebuilding efforts, including in the Women’s International Perspective and at the 2009 International Studies Association West Annual Conference on the Human Consequences of State Political Inaction.